Last week we looked at why people paint brick buildings. 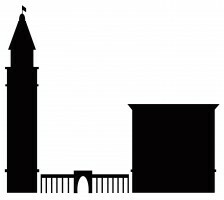 Today I wanted to answer the second half of my friend’s question: is painting brick bad for the building? The short answer is that it depends. But by and large it is not a good idea to paint brick because the paint traps moisture. Brick is porous and absorbs some moisture when it is wet. The amount of moisture absorbed varies depending on the quality of the brick and whether the protective fire skin on the outside of the brick is intact. Moisture can come from the air (humidity), from the sky (precipitation), or from the ground (wet soil). Precipitation is a major issue if there are cracks in the brick, open joints, poor roofing or roof drainage, lifted or insufficient flashing, or other venues where water can get into a wall. But moisture in the ground is also a problem. Wet soil around a foundation allows moisture to wick up through the pores of the brick in a process known as rising damp. The dampness rises up through brick courses until it reaches a point of equilibrium with the dry outside air. The moisture eventually evaporates through the brick’s surface. As I discussed in the post about strong mortar, moisture is meant to evaporate through soft mortar joints, not through hard masonry. The mortar is sacrificial and can be easily replaced, while it is more costly and difficult to replace damaged bricks or stone. However, when you paint brick, you paint both the bricks and the mortar. 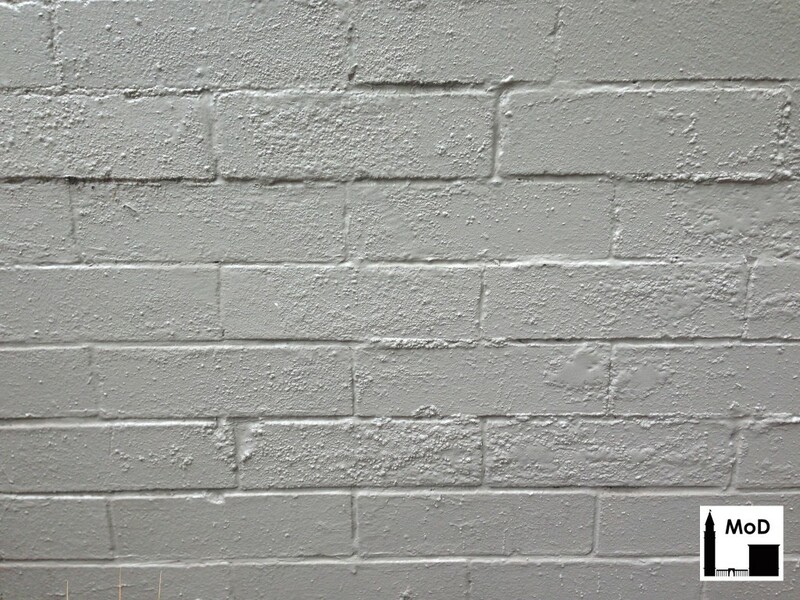 Most types of paint are not vapor permeable, which means they trap moisture within the brick wall. Trapped moisture doesn’t sound too terrible, but in our cold winters, trapped moisture can quickly deteriorate a wall. During the winter, moisture within a wall can go through several freezing and thawing cycles per day. Ice has greater volume than liquid water, so the ice microscopically breaks apart the brick and mortar. If you repeat this freeze-thaw cycle hundreds of times over the course of a year, the masonry wall will begin to deteriorate. How do you know if you have trapped moisture behind your painted brick? Look for signs of blistering of the paint, such as in the photo below. Some of the texture on the wall may be from debris caught between the paint and the brick, but the blisters in the middle and lower portion of the photo means there is trapped moisture in this wall. Flaking paint, shown in the photo below, looks different from blistered paint. Flaking paint usually means the paint is no longer properly adhering to the substrate – either the brick or the paint layer below it. It also means the paint itself is deteriorated, not the brick substrate. Also look for mortar deterioration behind the paint. If your mortar joints look eroded and weren’t when your first painted it, you are probably trapping moisture in the wall. If your brick building is painted and you notice blistering paint or other signs of moisture, what do you do now? It is best to repair the source of moisture infiltration to stop moisture from being trapped within the wall. 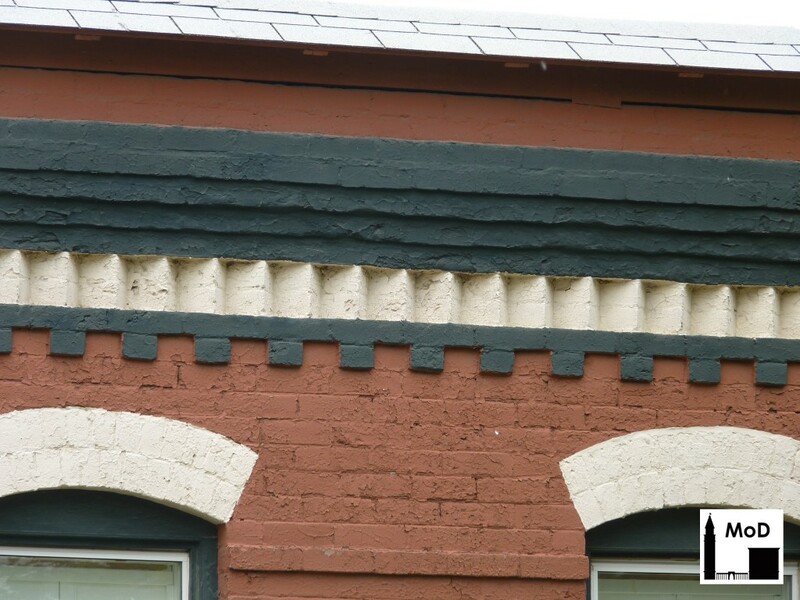 You can remove the paint, but you should work with a preservation consultant or preservation architect to determine the best method for removing the paint so it does not damage your brick. When done incorrectly, paint removal can cause more damage to a brick wall than leaving the paint intact. If you really want to paint your brick building, look for a vapor-permeable paint. You want a paint that is a two-way street: it allows some moisture in and out of the brick so that the brick wall can ‘breathe’, so to speak. You don’t want a paint that will seal up the building. You may not have any source of moisture infiltration now, but think to the future; in five years you could end up with a leaky gutter or poor flashing that pours water into your wall every time it rains.